Net Revenue = the sum of purchases less redeems generated on your tracker(s) based solely on our log files. Net Revenue is calculated as Gross Revenue less license fees, game provider fees, betting and gaming taxes, payment costs, bonuses and/or loyalty bonuses, jackpot contribution, rake backs given to the Referred Players and chargebacks/refunds. Player Issues – CyberClub casino have been unresponsive to player complaints posted with ThePOGG and other dispute mediation portals. In one case CyberClub casino are documented to insist that a player send their passport (not a copy) to them for verification, which is absolutely unacceptable. For references see – http://thepogg.com/casino-review/casino-reviews-appendix/#Cyber_Club. •	Negative Carryover policies – if your players have a win large enough to create a significant negative balance for you, this creates a situation where you no longer have any incentive to carry on marketing the program’s brands. This leads to a short-term mind set to working relationship between the affiliate and the program. To add to this, the terms are totally inconsistent with regard to Negative Carryover, in some places stating that the default will be no negative carryover and in others stating that negative carryover will be applied unless a custom deal is in place. Affiliates should consider this program to have negative carry over. 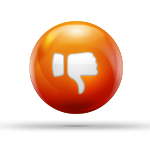 •	A term prohibiting “low ratings” or “negative comments”. This effectively ties the hands of any affiliate that would genuinely try to be honest when reviewing a casino. Everything about this program leads us to one conclusion – Not Recommended.